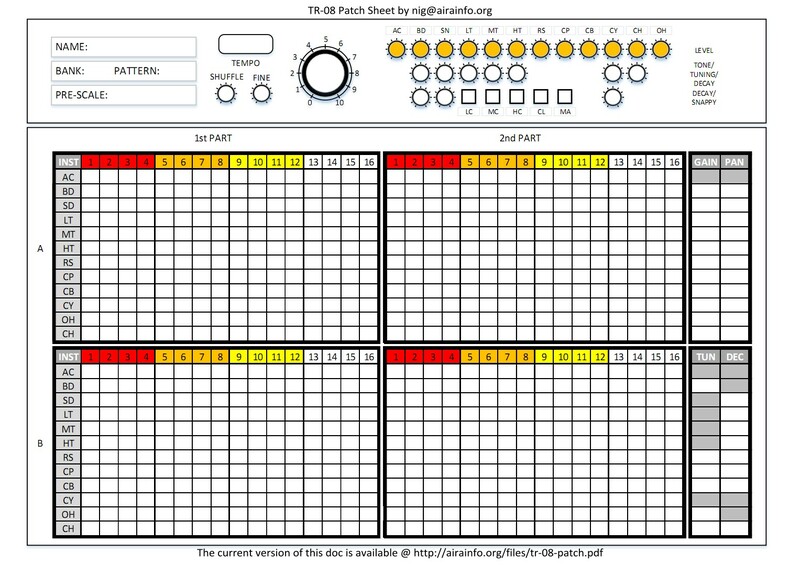 I was thinking about how I could get all the parameters of a TR-8S kit and pattern on a patch sheet, and found one that I’d done for the Boutique TR-08, so I thought I’d stick on here. Someone may find it useful. The “Tap Tempo” did not work. Who knew it never worked?